An absolutely fascinating work. A wide collection of important oral histories from around the world set against good and thorough research. Written in a style that itself clearly reflects the rich strands of Goan Christian Diaspora heritage. –Cliff Pereira, author of View from Shooters Hill. The British relationship with Goans was as ambivalent as it was evolutionary. They subjected them to all the prejudice they felt towards non-White populations. They never absolved Goans from the indignity of residential segregation, segregated public washrooms, the tacit prohibition against miscegenation or racial inequality on the work front. Yet they valued them tremendously, a relationship based on genuine mutual respect and trust. They were unfailingly described by British Colonial officers as the back-bone of the Civil Service, “people of high quality”, meticulous in their work and devotedly loyal. Selma Carvalho’s book therefore has been for us an eye-opener. How did a people who were colonised and culturally indoctrinated by the Portuguese become such loyal British citizens? ….Portuguese colonialism impacted notions of Christian equality on their intricate caste structures and western dress codes and languages were juxtaposed with Hindu dress codes and rituals. And meet once again the Goan political activists of Kenya; the country which has the largest population of Goans in the Diaspora. A chapter entitled ‘Emma Gama Pinto’ introduces us to political stalwarts like Pio Gama Pinto, Fitz de Souza, Eddie Pereira and J M Nazareth. Peter Nicholas Zuzarte’s arrival in Kenya, the childhood of his son, Joseph Murumbi-Zuzarte, Kenya’s second Vice-President, and the comradeship between Murumbi and Pinto capture the cogency of this book – the many captivating stories of ordinary individuals who ventured forth into a new beginning. 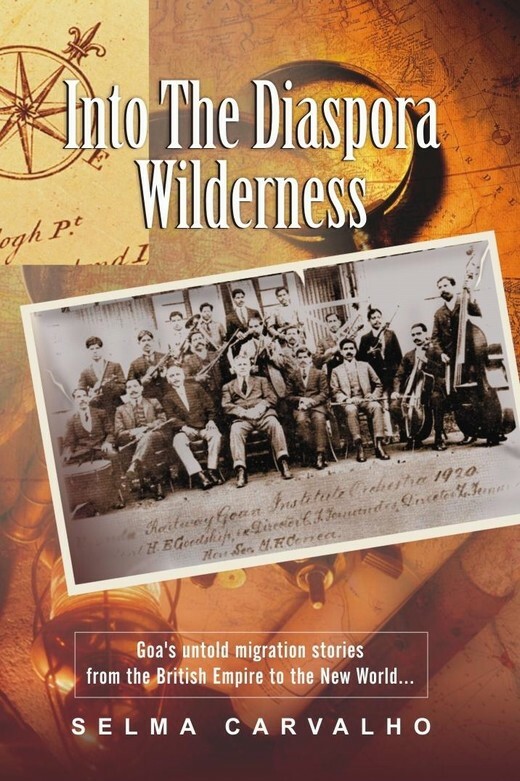 The author has managed to actualise each historical migration with accounts of real life travellers and settlers many of whom the reader will recognise, identify with and even relate to. The short chapters and narrative style make the book an interesting and easy read – an index would have helped for easy reference and the role of imperialism in driving the Goan diaspora needs to be emphasised. Are diasporic Goans going back to their homeland at all or is the umbilical cord completely severed?